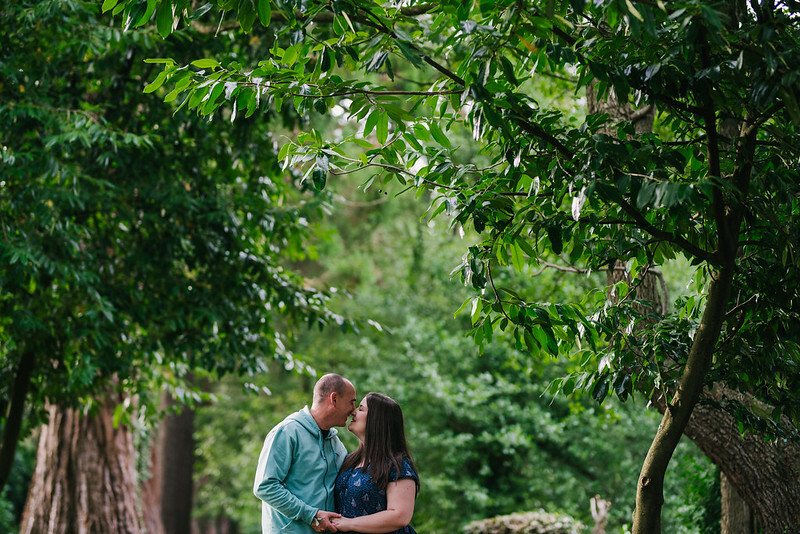 Being engaged and planning our wedding was both incredibly exciting and exhausting. These feelings all came flooding back when Martyn and I received our wedding photos and pre-wedding photos from the photographer this week. 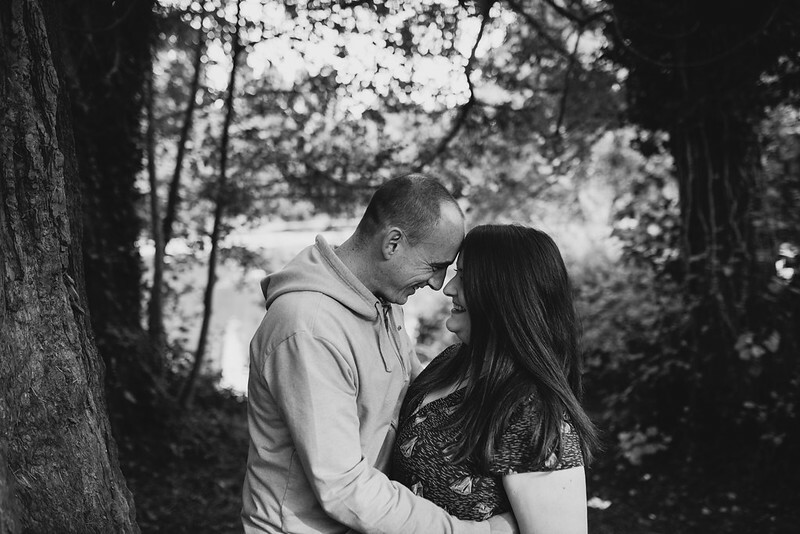 The photos have let us re-live it all again and got me thinking about the wedding experience as a whole and the lessons I learned whist preparing for this big life event. I hope you find following observations helpful and can learn from some of my mistakes. I initially wanted a small, budget wedding. When I say small, I mean small in relation to the average UK spend of a whopping 27k on weddings in 2017. I thought I would invite about 40 people, have street food and a registry wedding ceremony but when I actually looked into prices for the things I wanted everything cost double my original estimate. The price to get married in Cardiff City Hall in the room of my choice was the same price as a gallery in the National Museum Cardiff so obviously I went for the more extravagant setting which was far more in keeping with my tastes. The guest list quickly escalated from 40 to 65 for the day and closer to 85 in the evening and finding a venue without a huge hire cost and extra fees for furniture and catering led me to chose a restaurant for my wedding reception. I was incredibly lucky to have help from my mum who paid for the reception but a jump from my estimate of £4k to £7k was something I wasn't really prepared for. There were lots of costs I hadn't thought about like a dog sitter, a tip for the venue staff and lunch for vendors. It really helps to have a budget spreadsheet or notepad to get a grip on all of these details and I would highly recommend a budget cushion of a few hundred pounds. If you don't have a budget like Prince Harry and Meghan you may want to do some research about companies like Cash Lady before the big day to help with any unexpected costs and avoid any last minute stress. I wanted good food, a laid back city feel and a informal day with all of my loved ones. Ultimately the wedding was about sharing my love for Martyn with friends and family. There are a lot of add-ons that are thrust upon you with weddings but I learned to say no. I didn't care about expensive stationery and invitations - as most of my guests were around 30 years old I made a free wedding website and everyone RSVP'd there. Venues will try to up-sell packages with more expensive drinks and courses you don't need. Negotiating was key with my venue and I was able to get more for my money by having a Sunday wedding and swapping food in my package for more drinks. I was incredibly anxious before the wedding - my dress didn't fit properly and I had a lot of people to co-ordinate. Making elaborate table decorations and favours would have added to me pre-wedding nerves and I'm so glad I scaled back on my DIY aspirations. I bought Welsh cakes from a local baker and bagged those up myself for the favours and bought lots of candles and glitter confetti for my tables which the venue set up for me. It felt like I was missing something the day before the wedding because we only had to pick up the cheese tower and take the decorations to the venue and we were done - very stress free. 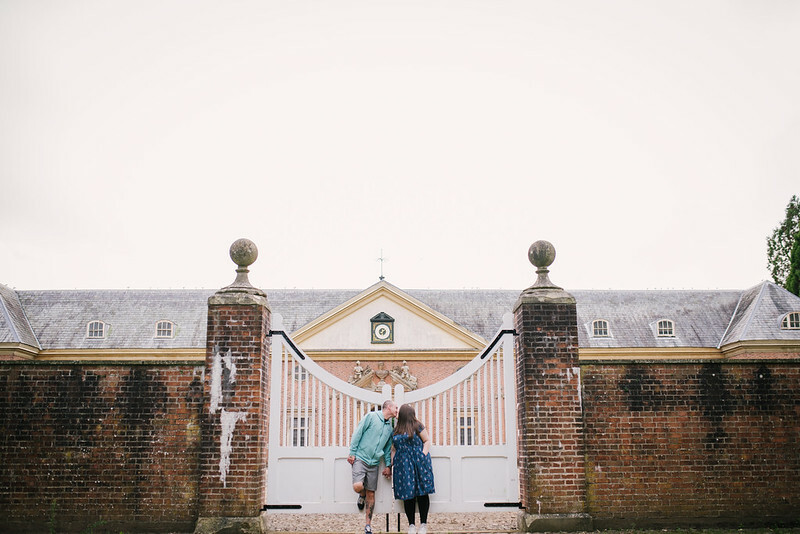 We met with our wedding co-ordinator/venue manger on a number of occasions before the wedding and she couldn't have been more helpful (Chapel 1877, highly recommend it!) She decorated the venue for us, added a vegan option to the menu, dealt with 20 texts a day from my mum and ordered in special drinks that family members like. 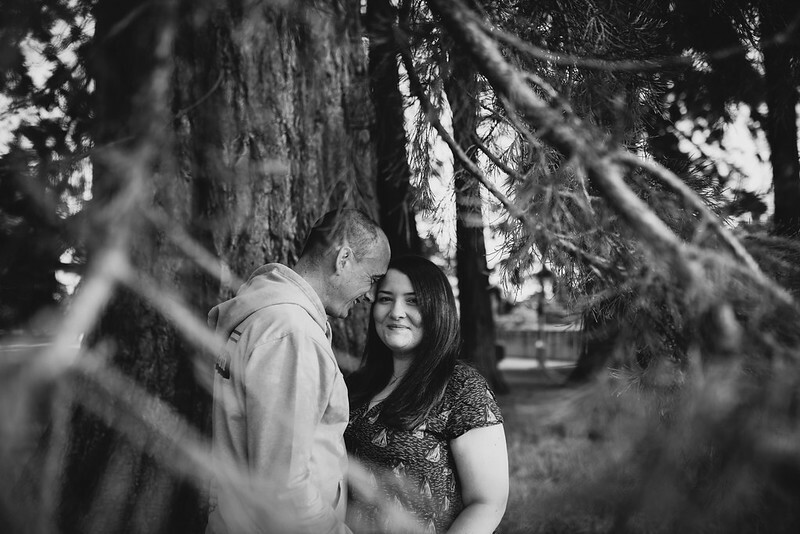 She went out of her way to deliver more than she had agreed to and our wedding day would not have been as special without her. I recommend a face to face meeting with vendors before booking as they can make or break your big day. My hair and make up artists came highly recommended from my photographer and members of wedding facebook groups and she instantly put me at ease during my trial and helped to calm me down on the day of my wedding. I met my photographer in 2011 when we organised a blogger meet up together and have seen a lot of the photos she takes as part of a husband/wife duo featured on their blog. It felt comfortable to be photographed by people I knew and who's work I admired. My only regret is that I used the venue DJ who didn't really get our music taste - camp pop meets sad indie and Martyn's love of punk and a lot of songs we put on our essential playlist were not featured at all. "It will be the BEST.DAY.OF.YOUR.LIFE" Yes, it really will be but things will go wrong and there's not much you can do about it. I forgot to buy a nose stud and had to wear a basic hoop in my nose all day. 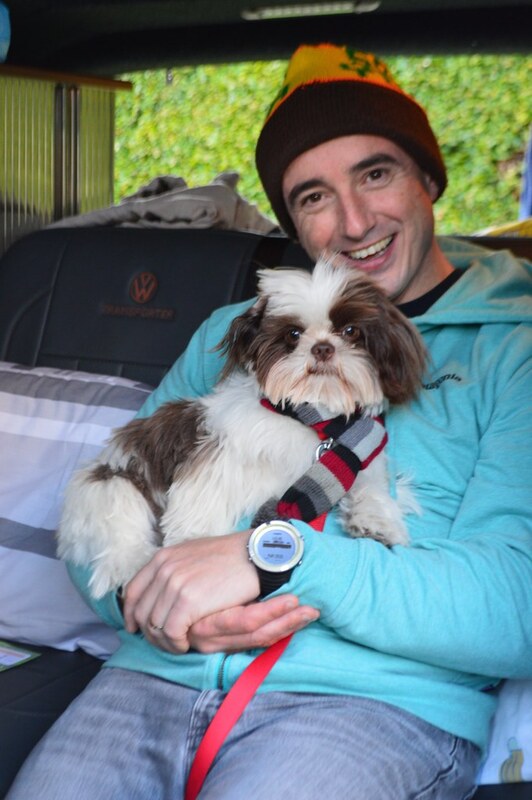 The traffic on the day of the wedding was awful, the dog sitter couldn't get to the house so Coco had to go in the car with Martyn - this worked out perfectly and Martyn loved having Coco arrive with him. There are a list of tiny things that went wrong but I real can't remember what they are now. My lasting memories of the day are seeing Martyn waiting for me at the end of the aisle, getting ready with my mum and dancing the night away with all of our friends. 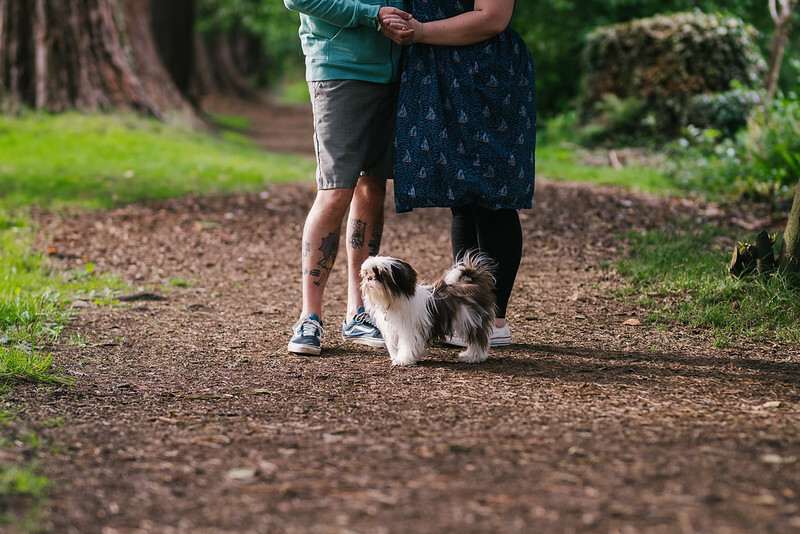 I hope this rather long ramble about our wedding has helped those currently planning their own wedding or any other big life celebration. If you need any advice about wedding planning or want Cardiff vendor recommendations please leave a comment below. How often do we find ourselves thinking "I need more hours in the day" or "I don't have time for that"? We lead incredibly busy lives and it seems that in the modern world we never have time for ourselves despite all the time saving technology we have. I find myself becoming increasingly anxious, stressed and tired all of which takes a toll on me mentally and physically and has an impact on both my relationships at work and at home. I find that setting aside as little as 15-30 minutes a day of uninterrupted "me" time can be challenging but necessary. "Me" time allows me to de-stress, unwind and recharge. "Me"time is not something we should feel guilty about. Time out can help us come back to responsibilities with greater clarity, focus and enjoyment. I deserve time to myself. I can't give my all if I'm not relaxed and in the long run it's better to allow myself some time to unwind so when I am in work or have a task to complete I am fully committed. Guilt can be all consuming so time to let go. Decide what to do with my "me" time. I used to adore going to Yoga and lifting weights but now I have my dog Coco to look after and my gym buddy has moved away I keep on finding excuses not to go. 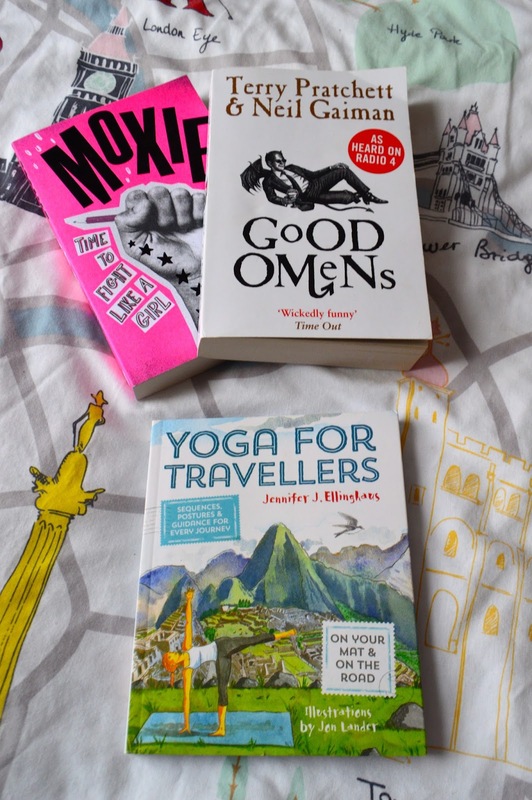 Jet2.com recently sent me a care package including a yoga mat and yoga book which means I've got no excuse to not set aside 15 minutes a few times a week to stretch away my stresses. Evaluate activities that are a waste of time. 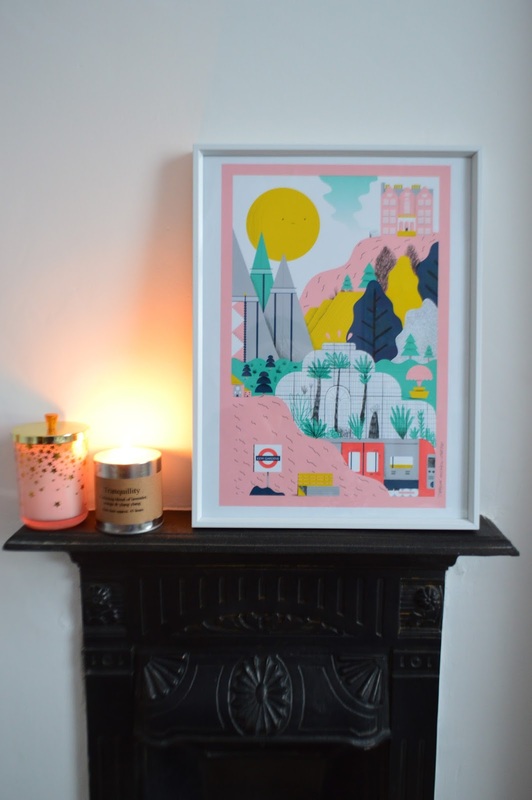 I check my work emails at home, I constantly refresh social media feeds and watch far too much catch up TV when my husband is working shifts and I'm at home on my own. I have installed apps on my phone to limit my time on facebook/twitter/instagram, picked up a few new books and some papering skin care treats. Learn to say "no". I need to say no to things that don't bring me joy, say no to tasks I don't have time to complete and say no to overtime unless the team really needs my help or I need the money - 37.5 hours a week is more than enough time to be in work. Commit to half an hour of "me" time every day. It could be a nap, a extra long walk with Coco or baking a cake - something I love to do but have only managed twice this year. Take time out to see friends and travel. I adore spending time with my new husband and Coco but independence is a good thing and we have different interests. 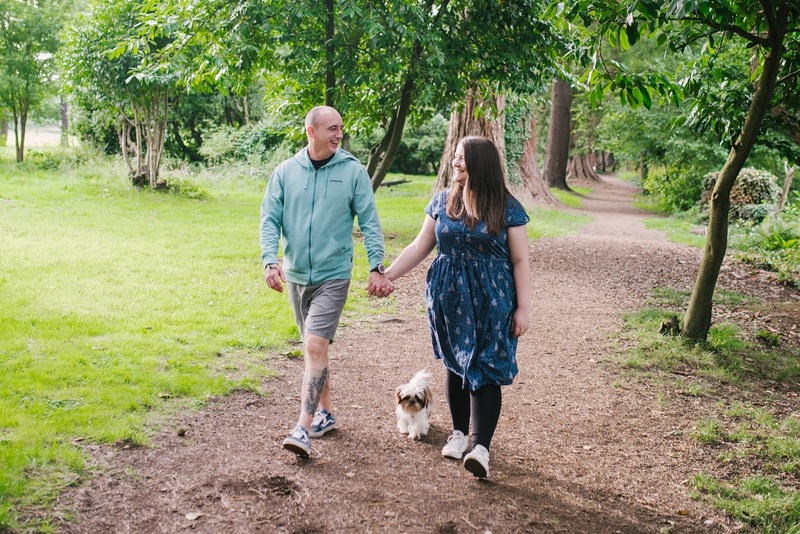 Too much time together or giving up activities you love may lead to relationship stress so I'm keen to protect my independence and would encourage my husband to also take some time out for himself too. Some time apart really makes me grateful for the time I have with Martyn and I missed him terribly on my recent trip to France with my friends. I did have a wonderful time away and just a week after returning I'm already searching for some summer sun on jet2holidays and a planning a relaxing UK cottage break by the sea. I hope that dedicating a little bit of time to myself will make a huge difference to my health and happiness. 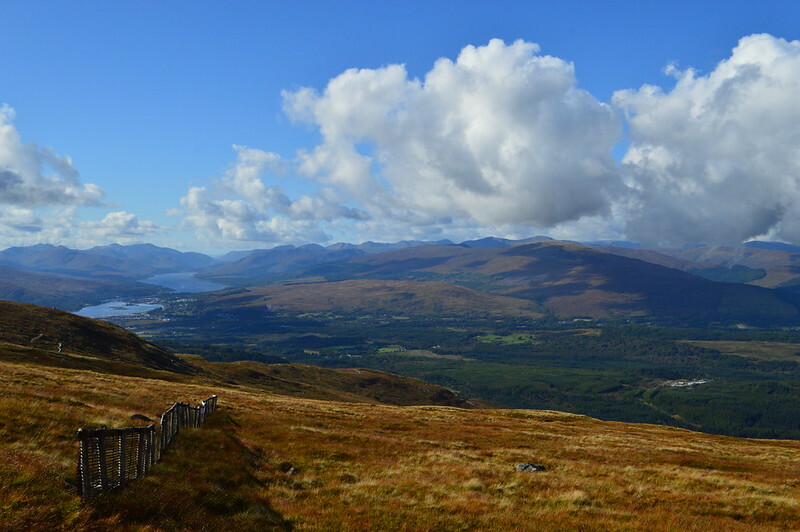 After our first few nights visiting Loch Lomond, Glen Coe and Oban we based ourselves in Fort William. 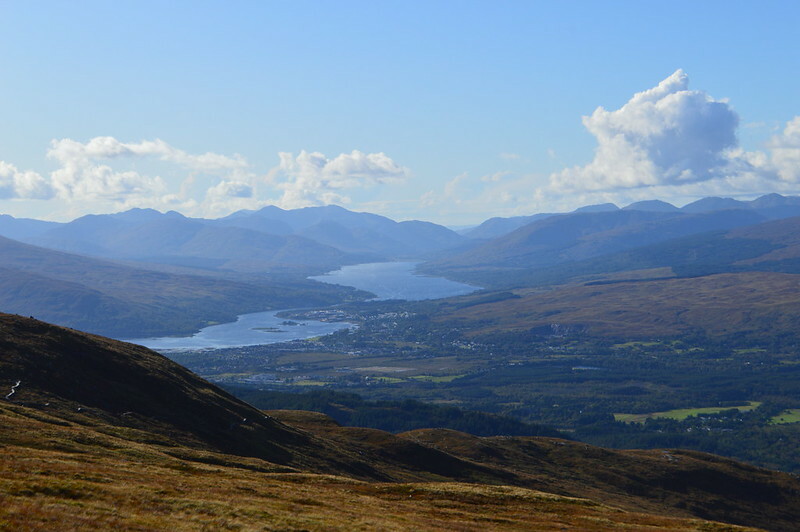 Fort William isn't a spectacularly exciting town but it is great location to explore the Nevis Range and is known as the 'Outdoor Capital of the UK' - the area was full of hikers and and adventurous types looking to make the arduous journey to the top of Ben Nevis. 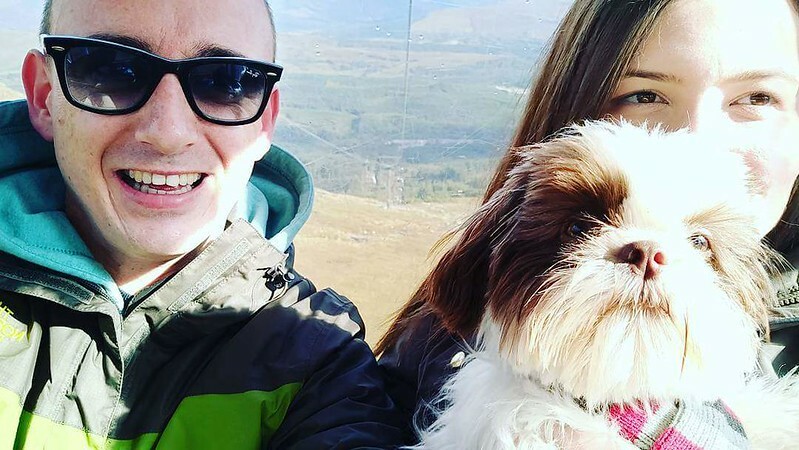 I'm way too inexperienced (lazy) to climb Ben Nevis (Pen Y Fan is much more suited to my ability) and Coco has tiny little legs and would need to be carried up a mountain so we took the easy option and took the nevis Range mountain gondola up to Aonach Mor. 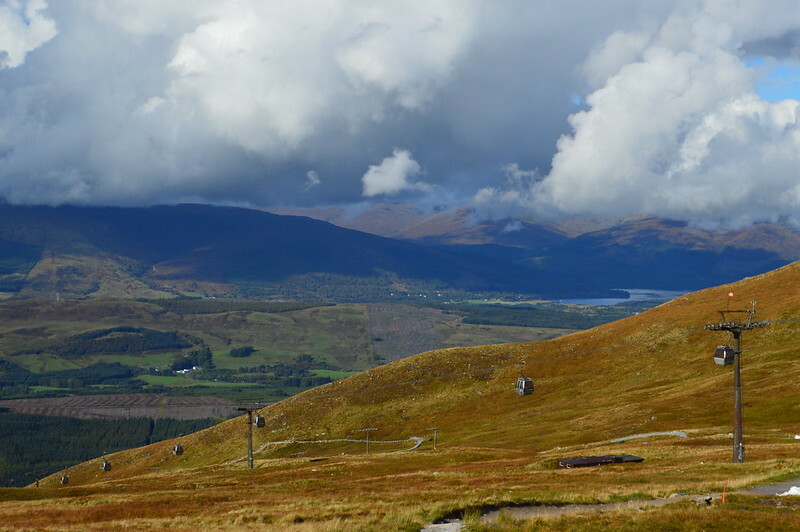 The Nevis Range in Fort William is home to the UK’s only mountain gondola. On our last trip on the gondola back in February Martyn and I were treated to loads of snow on the mountain but there was very little visibility. Luckily this time the sky was perfectly clear and we had fantastic views of the Great Glen, Ben Nevis and the surrounding areas. Once at the top there are some easy trails you can follow which are under an hour return and a cafe to get a hot chocolate to warm up. 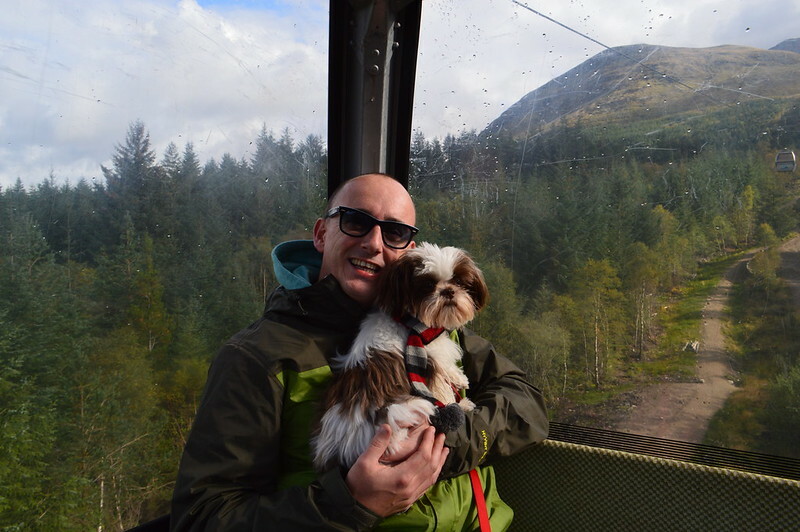 Coco absolutely loved his trip on the gondola and running around and exploring on the mountain. We stayed up there for hours enjoying the views and the sunshine after a few grey days. 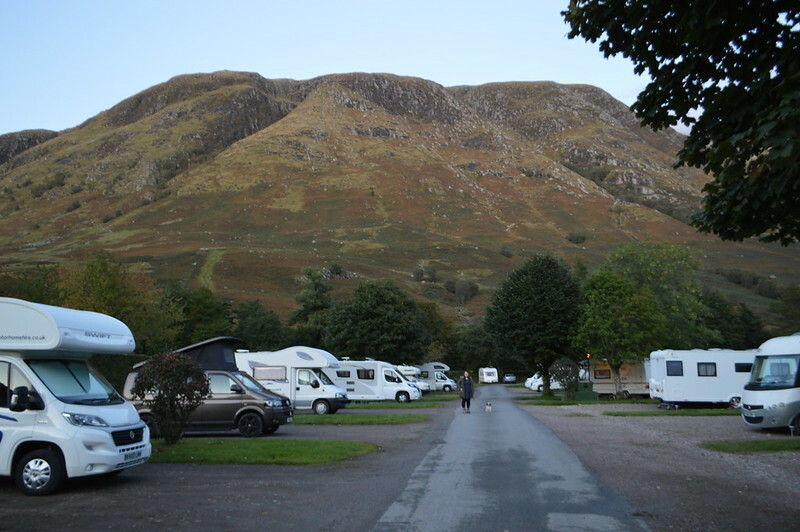 We spent a lovely night at the Glen Nevis Caravan & Camping park eating some of our wedding cake and reading. 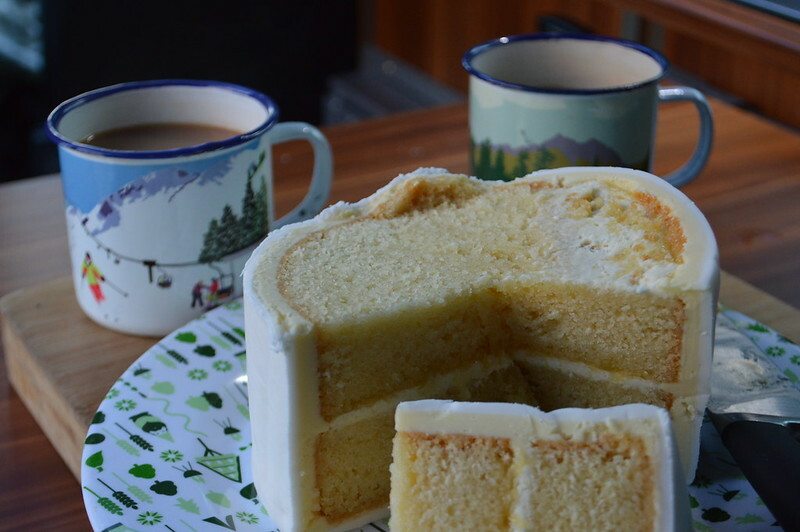 Yes, we took the entire top tier of our cake and scoffed the lot in the first week. 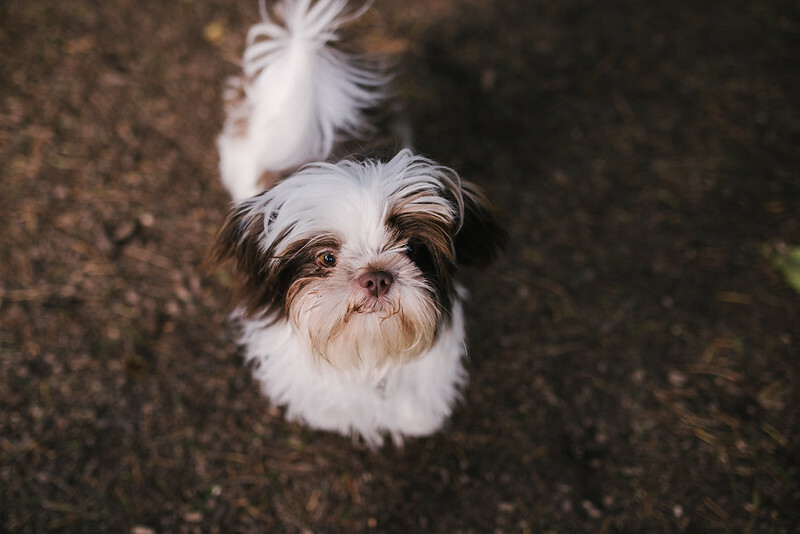 The park had everything you could need including spectacular views, a dog walking area, fully serviced pitches and spotless washroom facilities. We loved the campsite so much we decided to stop there on the way back to Wales after we had completed the NC500 route around the north of Scotland. 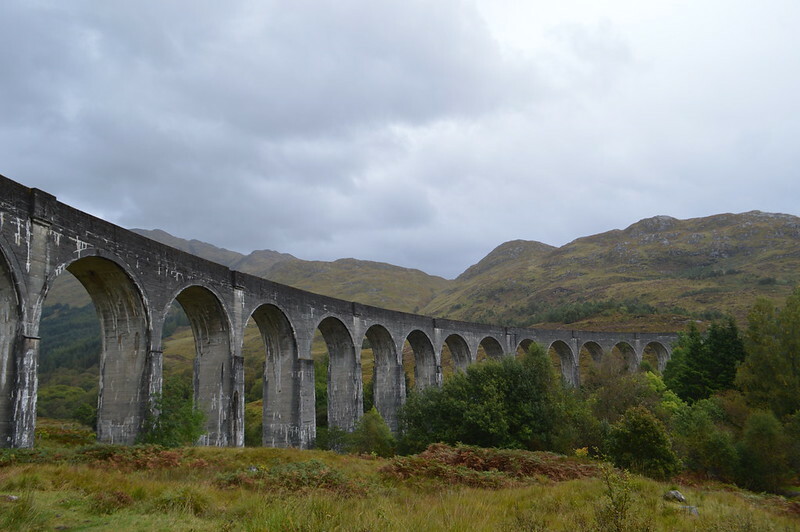 After a hearty breakfast which included Scottish square sausage we made our way to the Glenfinnan Viaduct. Both myself and Martyn work in the railway industry and are total train geeks. 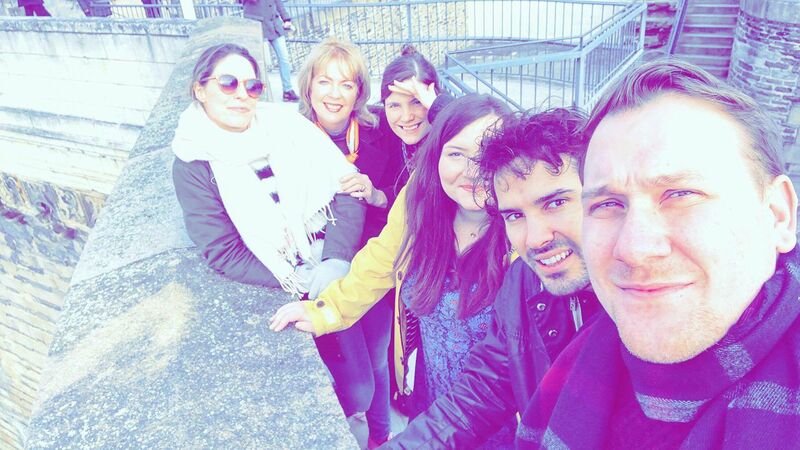 We spend lots of our days off going to railway museums and heritage railways - the viaduct was an obvious place of interest to add to our itinerary. 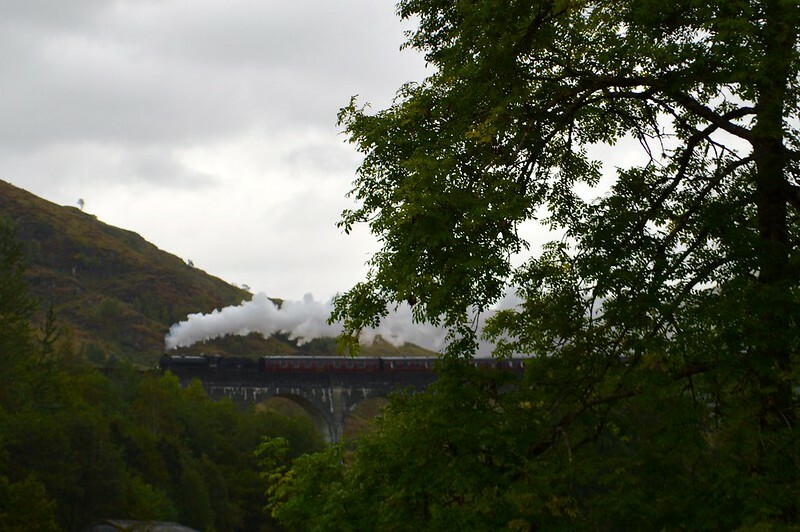 I got my times mixed up and we arrived way too late to make our way to a good viewing point to see the Jacobite steam train go over the viaduct (you may recognise the train and the location from the Harry Potter films). By the time we parked up we had to dash across a muddy field to get a glimpse of the train with the dog running behind us. I'm really annoyed with myself for getting this one wrong but the viaduct is impressive with or without the Hogwarts Express running over it. 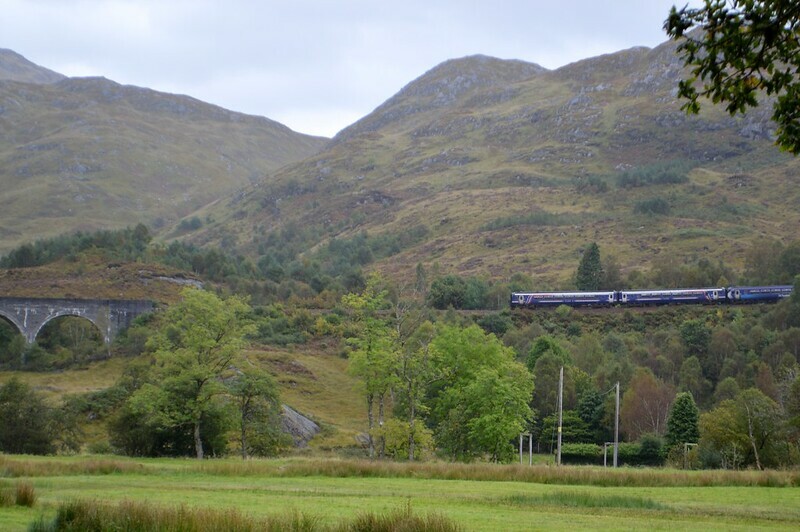 Whilst the Glenfinnan Viaduct is free to access there is a fee for parking in the National Trust visitors centre. There is a small free car park slightly further along over the bridge just after the centre but this gets busy very quickly and you're unlikely to get a space unless you arrive well in advance. 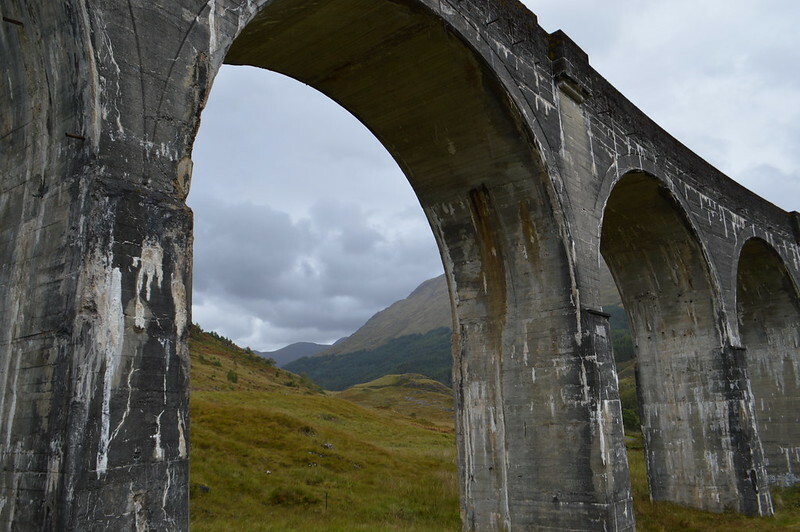 The spectacular 21-arched concrete crescent is still in use today and forms part of the West Highland Railway line between Fort William and Mallaig which was constructed between 1897 and 1901. The Jacobite steam trains only operate during the summer months but ScotRail diesel multiple units run there all year round. After our brief stop at the viaduct we pushed on with our journey to the north coast towards Gairloch and Ullapool which will feature in my next post. I can't wait to share my photos of the stunning Scottish coast! If you want to view our North Coast 500 route stops and campsite follow the link. The birthplace of the Italian Renaissance, Florence can boast a wealth of artistic masterpieces including Michelangelo’s "David" and Botticelli’s "The Birth of Venus". 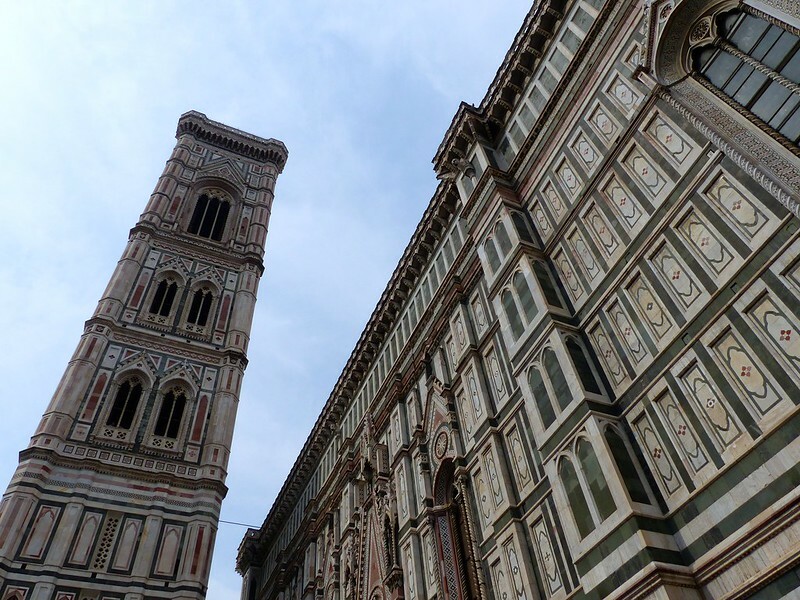 Despite it's long and intriguing history and beautiful buildings I just didn't fall in love with Florence during my visit which probably explains why it has taken me so long to write about my trip way back in April. Don't get me wrong, I loved certain aspects of the city but it isn't a place I long to return to. Maybe I'm getting a bit grumpy in my old age but I much prefer holidays to remote locations or towns with a more relaxed feel - I loved my trip to Lucca the day after we visited Florence as it was far less busy and I felt like I could take my time to explore and go at my own pace without a crowd of tourists swarming around me. I would like to be a bit more positive and say that I am glad I visited the city as I was able to view some spectaular architecture and art - it is a very visually exiting city. 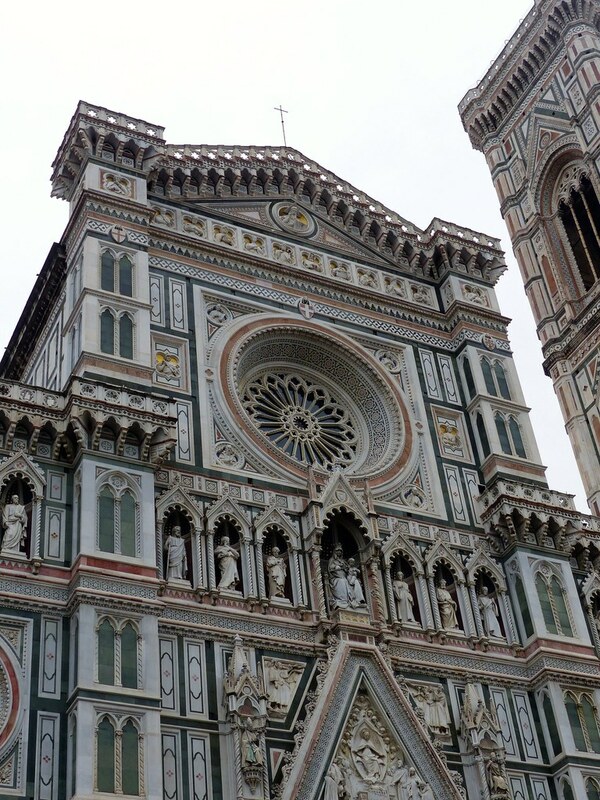 Florence has a history dating back to Roman times. It was founded by Julius Caesar in 59 BC, was dominated by the powerful Medici family and famous Florentines include Galileo and Michelangelo. The iconic sight in Florence is unmissable - the Il Duomo di Firenze or Santa Maria del Fiore can be viewed from most parts of the city. 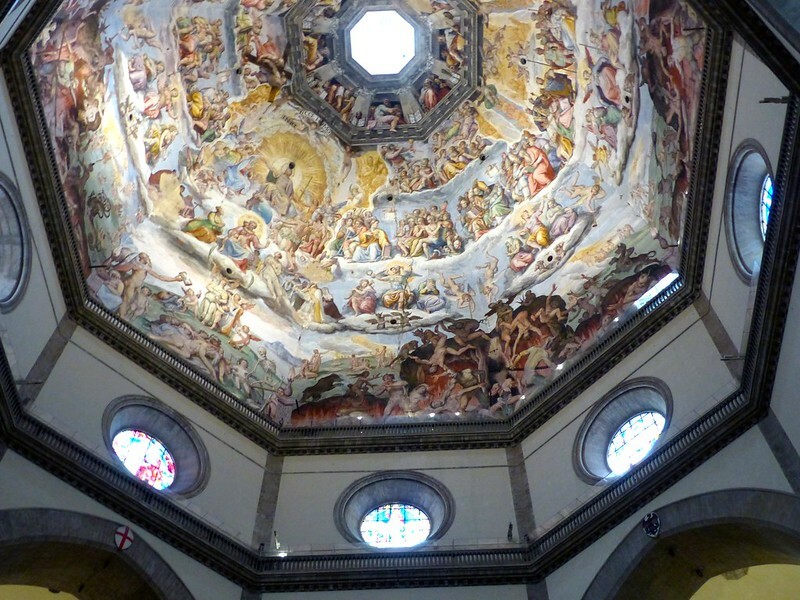 It is free to visit but expect a queue as the cathedral complex is part of the UNESCO World Hertiage site in Florence. The basilica is one of Italy's largest churches and has the largest brick dome ever constructed. The marble façade is stunning and similar in style to churches throughout Tuscany including those I visited in Lucca and Pisa. The Ponte Vecchio, or Old Bridge is also and iconic sight and was the only bridge across the Arno in Florence until 1218. 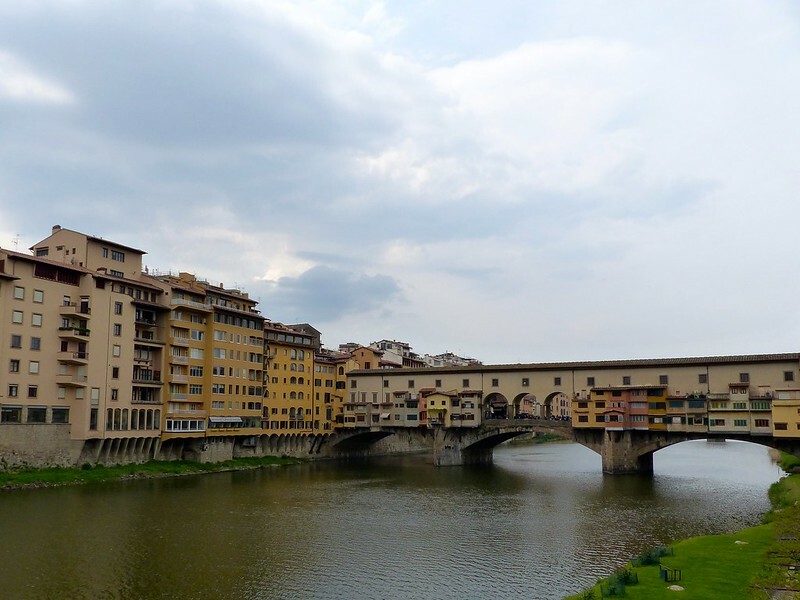 During World War II the Ponte Vecchio was the only bridge across the Arno that the Germans did not destroy when fleeing the city. 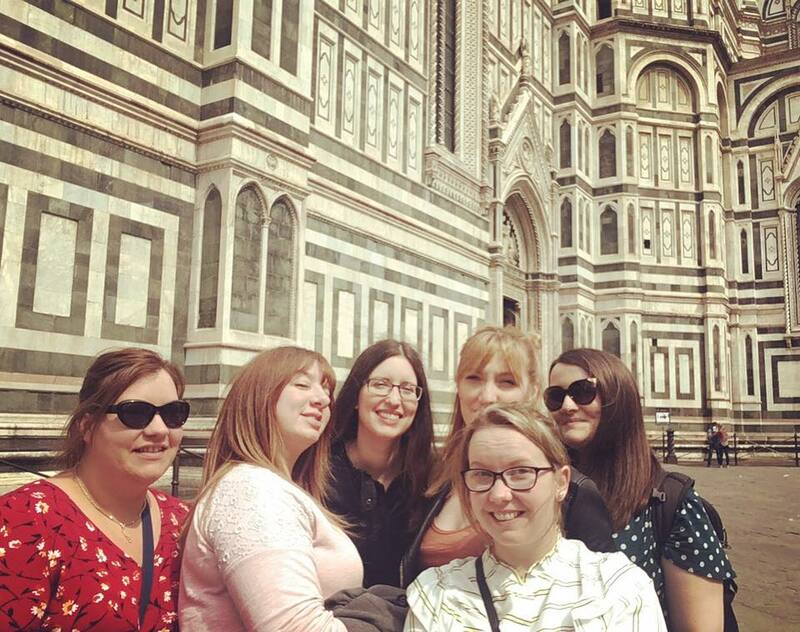 In a bid to keep costs of our day excursion to Florence low I planned the trip to coincide with 'Sunday at the Museum'. 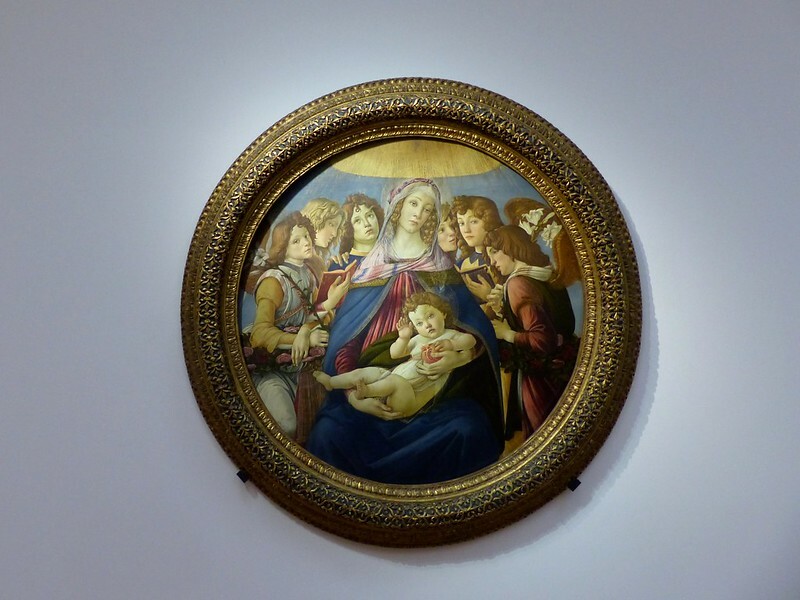 In Italy you can take advantage of free entry to state museums on the first Sunday of each month. 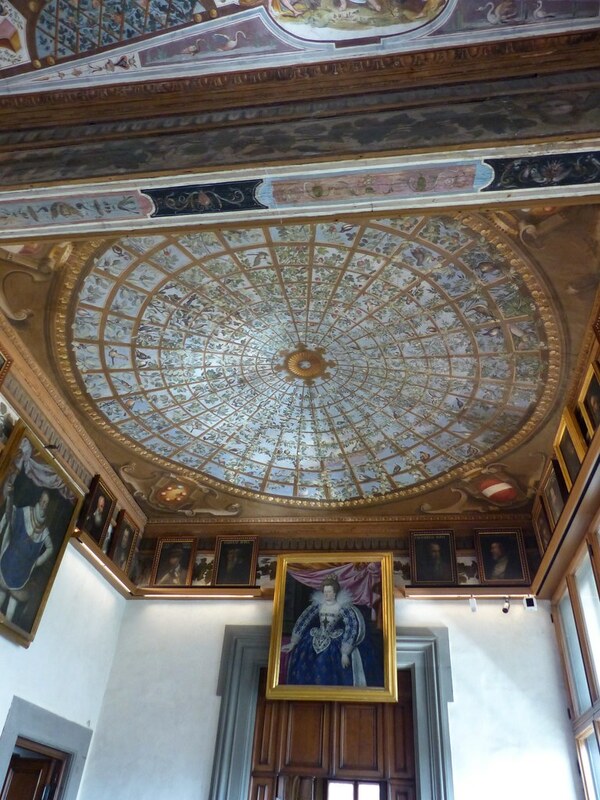 Entrance to the Uffizi is 12 euros in low season and 20 euros in high season - a considerable saving was made by visiting on a Sunday which meant more in the kitty for Aperol spritz. 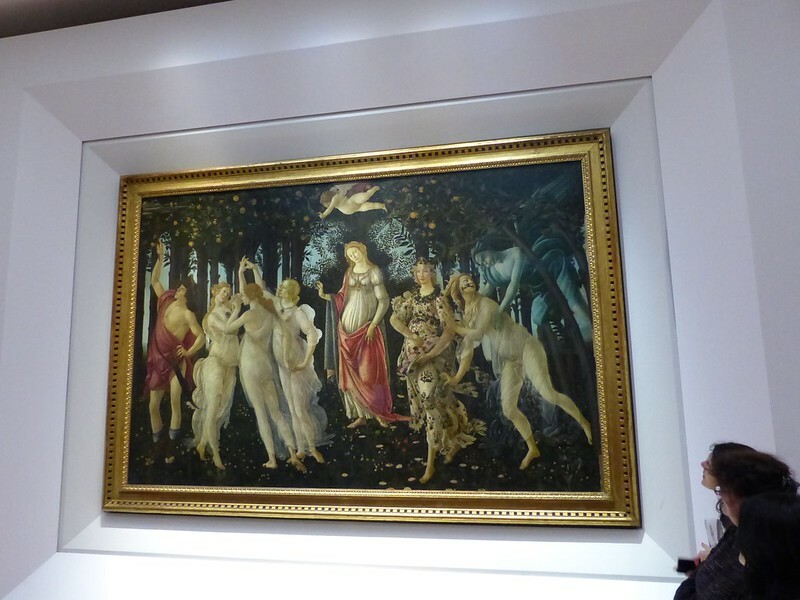 The Uffizi is the most visited museum in Italy and has one of the world’s most impressive collections of Italian Renaissance and Baroque masterpieces including The Birth of Venus. 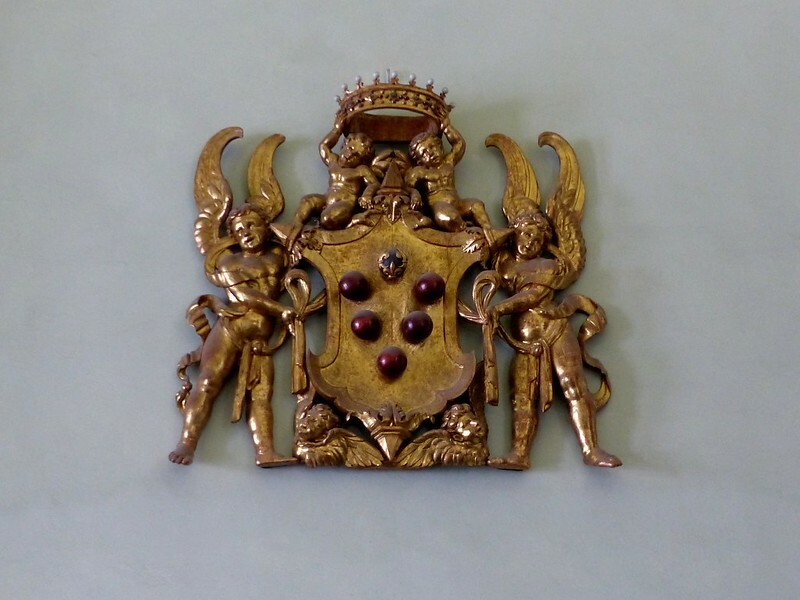 The building hosts up to 10,000 guests each day and was originally designed to be a workplace for the Medici family. 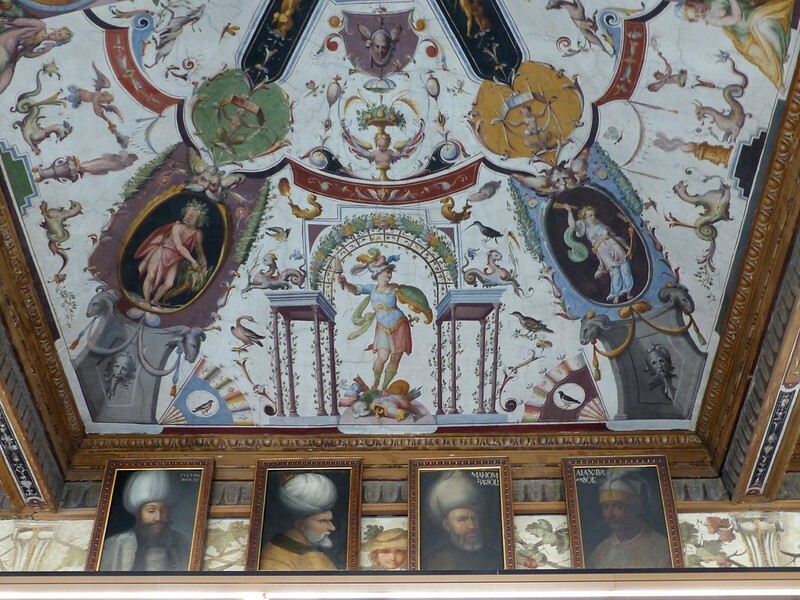 The unusual U shaped building houses paintings and sculptures by Leonardo da Vinci, Giotto, Caravaggio and Michelangelo. 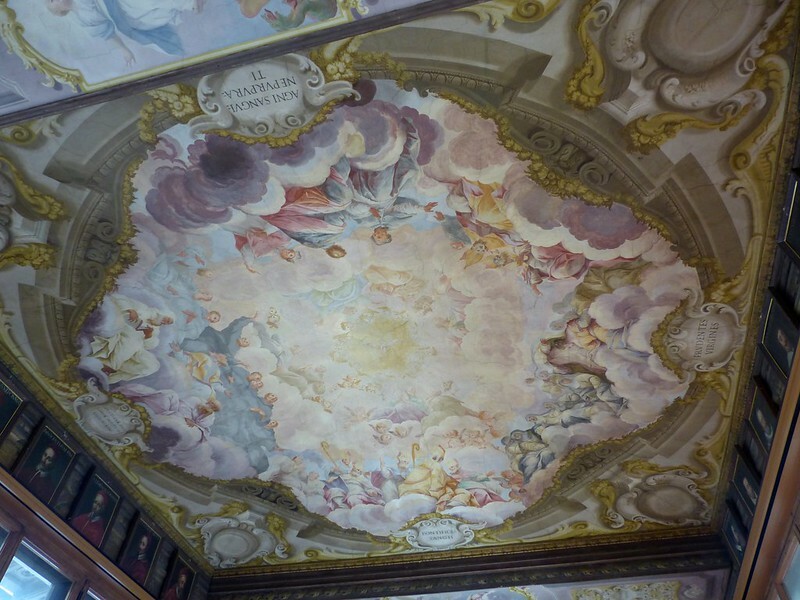 Not only is the art breathtaking but the building is lavishly decorated too - a real feast for the eyes. I totally hogged the space in front of this painting for at least 15 minutes - I loved the detail on Flora's gown. If you are short on time during your visit I recommend heading straight for the top floor as that's where the most precious collections are kept and you can then make your way through the rest of the museum if you have time at the end. 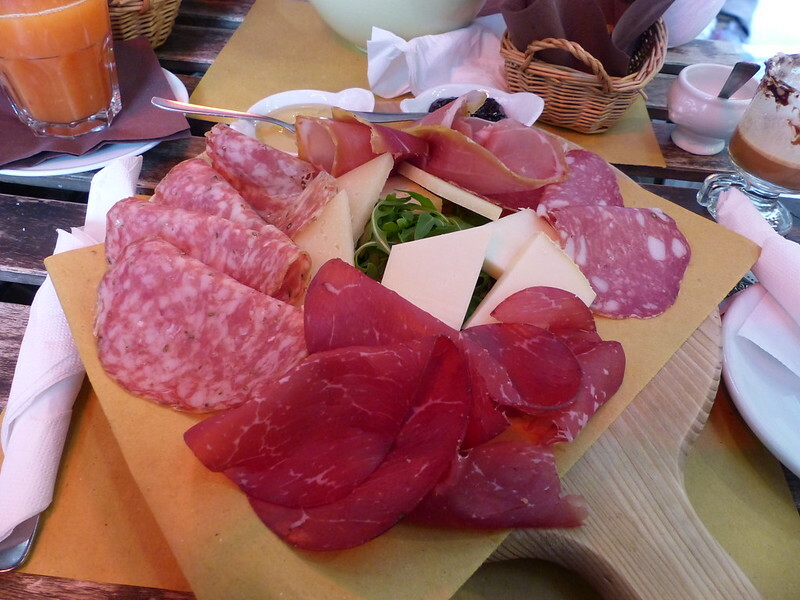 My two hour stroll around the Uffizi made the trip to Florence worthwhile. Overall I enjoyed my day out in Florence but the crowds of people were completely overwhelming for me. If I ever return I think I'll venture out of the city centre or to quieter places of interest like the Pitti Palace and gardens.